Even for many Catholics who attend Mass on a weekly basis, the Church’s teachings on birth control are often misunderstood — or completely unknown. It can be even more complicated for the faithful when high ranking clergy make confusing statements about these beautiful teachings. One of the tools Human Life International is using to set the record straight on birth control is a new booklet series that covers what the Catholic Church teaches about contraception, and also discusses the well documented medical and cultural harms of contraceptive use. This is a “Yes!” to the truth about the human condition, and to genuine love. As Saint John Paul II explained in his The Theology of the Body: “[W]hen the conjugal act is deprived of its inner truth because it is deprived artificially of its procreative capacity, it also ceases to be an act of love.” Contraception is ultimately opposed to love because it blocks the complete gift of self between married couples, and thus harms their relationship with God. God has established an ‘inseparable connection’ between these unitive and procreative purposes of marital love, so when a couple rejects one of these beautiful purposes of their sexual union they harm their spouse and their marriage, even if their intentions are good. What can be really confusing for some people is when they hear that the Church is against birth control, but embraces Natural Family Planning (NFP). 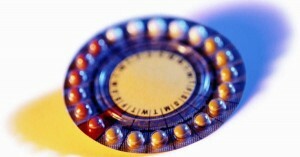 Often the question is asked: What is the difference between contraception and NFP? The short answer is that NFP is not just another, “natural,” method of contraception. It’s not even properly understood as birth control at all, but rather as a means of informed self-control that, when used with an attitude of trust in God’s will and openness to life, can help a married couple postpone, or even achieve, pregnancy. The Church is against birth control, no matter the method, but she does encourage married couples to practice responsible parenthood. Beyond helping people understand the clear Church teaching against birth control, HLI’s booklet series also discusses why the pro-life movement should care: Because contraception is anti-life. HLI Founder Father Paul Marx talked about this issue throughout his life. Saint John Paul II understood the connection between contraception and abortion as well, writing in Evangelium vitae that the two are “fruits of the same tree.” In fact, many “contraceptives” actually cause abortions, as another booklet in HLI’s contraceptive series details. While marketed as contraceptives, these drugs and devices fail to stop fertilization from taking place and can kill a developing child in the womb. It is important not only for Catholics, but for all pro-life advocates, to understand how contraception leads to the destruction of life, of family and of our culture. This is why Human Life International will continue to focus on this issue, and on providing new, dynamic, educational resources as part of its mission to build a Culture of Life around the world.